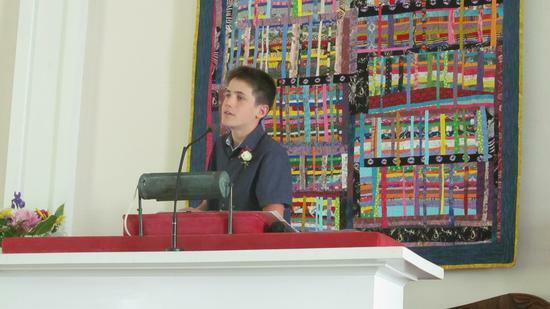 Amidst laughter, tears and words of praise, Adams School conferred diplomas on nine graduates, who each, in turn addressed family, friends, classmates and teachers at the June 15 graduation at the Universal Unitarian Church of Castine. Guest speaker and health/physical education teacher Katrina Dagan recalled the class through a slideshow before Superintendent Mark Hurvitt and School Board Chairman Kathy MacArthur conferred diplomas. A reception followed in the parish house. 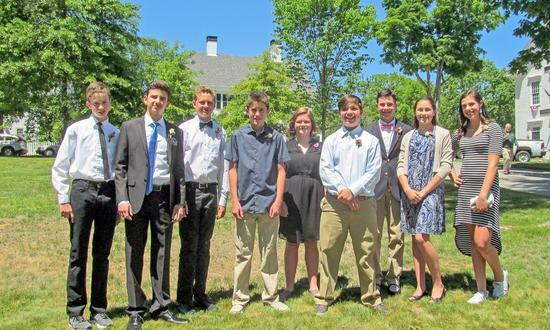 From left, Ian Potter, Ege Asyali, West Hope, Morgan Davis, Chloe Sheahan, Lucas Fitzgerald, Will MacArthur, Evelyn Dagan and Sophia Jennings, are the Adams School Class of 2018. 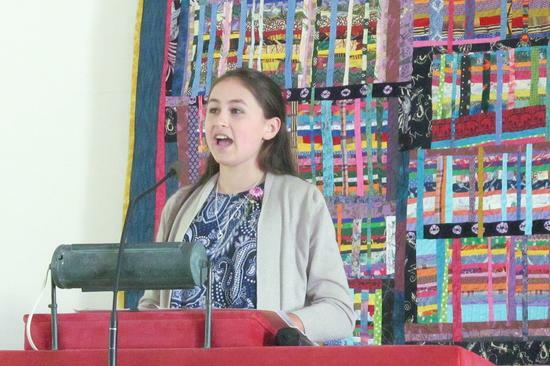 Graduating eighth grader Evelyn Dagan speaks. 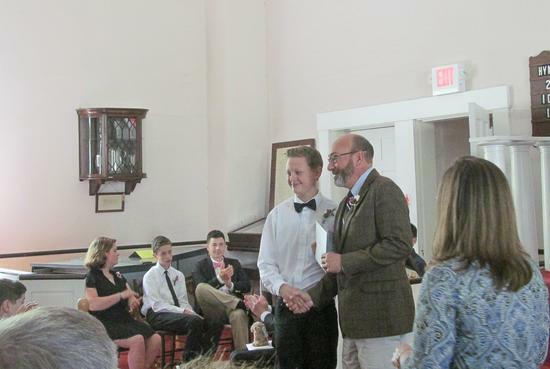 Lucas Fitzgerald receives his diploma and a handshake from Superintendent Mark Hurvitt. 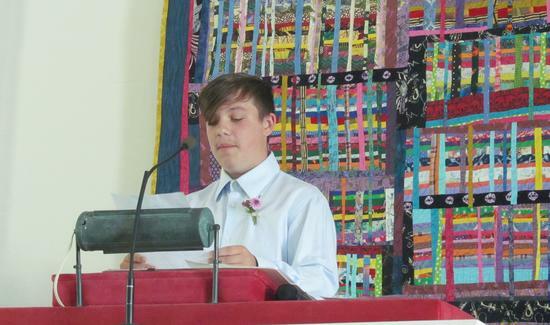 Morgan Davis speaks to family, friends and classmates. 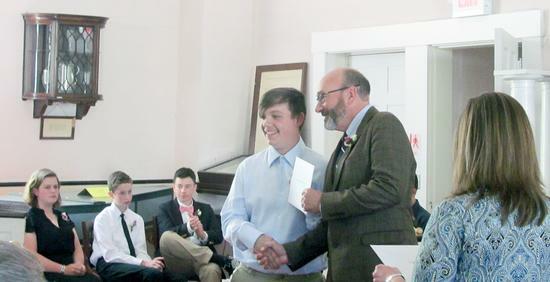 West Hope receives his diploma from Superintendent Mark Hurvitt.